Farzin is a passionate, constantly evolving person that specialises in High-End commercial properties and businesses. With Focus on Boutique Hotels, New Development Sales, Acquisitions, and Mergers. Farzin has garnered an excellent reputation and counts some of Australia’s most influential people as clients. Farzin has set records across Hobart in sales of Boutique accommodation, Bars and Businesses. Where other agents have failed Farzin has set records sales in record time exceeding vendor expectations. Farzin delivers great value to his clients with transparency & honesty, whether they are buyers, sellers, developers or investors, he will always put you first. While other brokers believe in just having a sound strategy is the key to selling, Farzin believes having the means to execute is above all else. Farzin maintains a diverse portfolio of exclusive listings and has the ability to reach hundreds of potential buyers through his vast national and international networks. Farzin has also built relationships with other local agents and from around Australia, enabling him to maximise the reach for his clients. Combining these tools with an intimate knowledge of the local market, Farzin can confidently match the right buyer with the right seller with remarkable success of list-to-sale ratio of 87% and with an impressive $5,200,000 in sales in less than 6 months he has raised the bar and has set new standards for Business Brokers in Hobart. Farzin is motivated by helping his clients finding the right solutions for their needs. 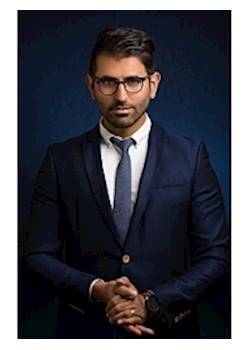 His unique approach and perspective as business professional ensures that his clients are always represented to only the very best. As investors and commercial clients, you will benefit from his business owner background, knowing that the bottom line is always being carefully watched. Regardless of your commercial needs, whether in Hobart or elsewhere in Tasmania, Farzin is the professional you want on your side when it matters the most!